my previous visits to Palumbanes Island. These clouds of thoughts have been haunting me for the past years. Like a thought balloon that pops up while on a MRT ride, or upon waking up to a beautiful summer morning, or while crossing a street along with some lovely schoolchildren. I've thought of ways on how to push through with the plan, but for some reason, I just couldn't figure out how to make it into something doable, something real. Then over cups of coffee or unhurried lunch dates, I started expressing these thoughts to some of my closest friends. You see, I'm lucky to be around some of the coolest people on earth. My friends didn't just like the whole idea of the book drive, they started pitching in suggestions on how to go about with the plan. Then over some more cups of coffees and some more unhurried lunch dates, "BOOKSAIL: Braving Philippine Seas for Literary" was born. The issues on poverty and literacy are two things that I get to see firsthand from my travels around the country. Behind the amazing sights, beautiful churches, immaculate sand beaches and colorful festivals is the multifaceted Philippines. But of all the ugly and rugged faces that lie hidden in most of my travel snapshots, the plight of the underprivileged children warms my bones the most. I thought that if we could put books on those tiny hands and get them inspired to read, understand and explore the idea that there is more to than just their daily scarcities in life, maybe there could be hope to pluck this country out of this tragedy called poverty. I feel fortunate to have been raised by parents who think that pens and books are more important than fancy clothes and shoes. Books and education propelled my consciousness to the many wonders around me. And I wish that these same wonders will be read, understood and explored by many children in this country. If books are something that these children can't be had, maybe with everyone's help it would be possible. I'm inviting you to this worthwhile cause. 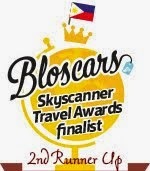 Be part of a community who finds fun in traveling, reading, sharing of ideas and volunteerism. Above all, be part of a group of people who advocates literacy for schoolchildren from far flung islands in this country. Join BookSail! This is going to be a long-term project. We plan to reach out to as many children as we can especially in islands where there is scarcity in libraries and books. 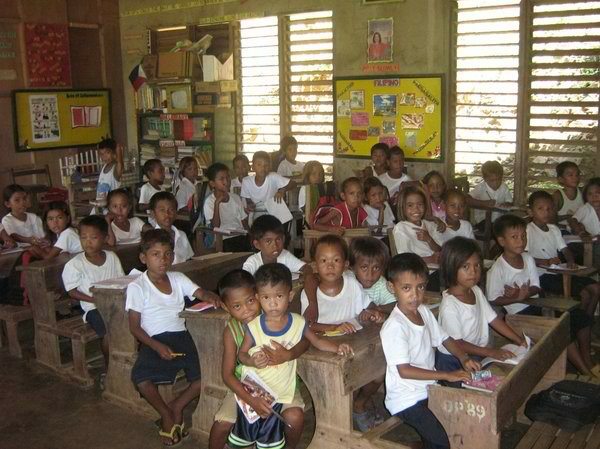 For now, our pilot book drive will focus on the children from Palumbanes Elementary School. Located in Palumbanes Island, Caramoran, Catanduanes, this school has 333 enrolled pupils from Kindergarten to Grade 6 as of this school year. It's staffed with 12 teachers and as of this writing, they do not have a working library in there. This island can be reached two ways: first is from Virac, you can take a 4-5 hours bus ride going to Caramoran. From Caramoran, hire a boat going to Palumbanes Island. Another option is to hire a boat from San Andres going to Palumbanes Island (traveltime takes about 4 hours). As an island village, most families have fishing and farming as their livelihood. We would love to hear from you. Let's meet and talk about BookSail. Hi BookSailers! Registration for our benefit dinner officially starts. It will be held on February 23, 7pm at Saint Honore' Clubhouse and Cafe. If you want to register, kindly message us your name, nickname, and mobile number. Ticket costs P350 only. Read here to know more about the turnover event we had in Palumbanes Island. Hi Che! May scheduled date na? :) Excited!! PAYBACK time! :) Hoping for the best. Godbless! Wow! Sounds like an exciting project! I'm curious - how do you know of and select the areas for the project? This is the first I've heard of Palumbanes - cool! Where in Manila do we give or drop off the books for donation? But we also do meet-ups within Manila. My number is: 0917-745-4538. I'll be glad to meet you in person and discuss the project with you. Or you could also join our benefit dinner on Feb 23 at Saint Honore Clubhouse, Scout Borromeo, Quezon City. 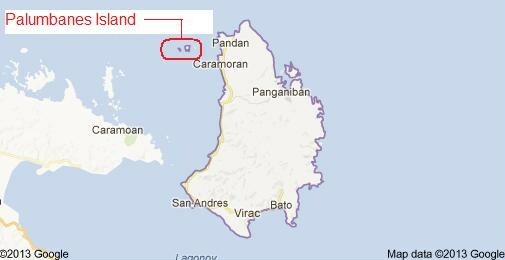 Sino ang coordinator ninyo sa Catanduanes for this project? Plates for books was very successful last Saturday. I'm very excited for coffee for books and cakes for books. Good job! Interesting! I am happy to learn that there are some people who are willing to go through too much trouble just to bring these kids the gem of literacy. Keep it up! That was a great project. . .
How can I help, Che? Ma share man ako. this piece is wonderfully written. kudos, Che! I am very glad that to find another organization with the same work as ours. I am from Project LaTAG Libraries. We are an organization also raising funds to fill all communities with books. However, we are specifically dreaming of seeing a library in every community in the Philippines. 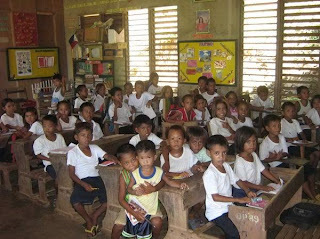 I hope we can partner one of this days to achieve more impact in making a more literate Philippines. Admittedly, a gargantuan task is before us and we need as much network to reach more. Kudos for a job well done and best regards.